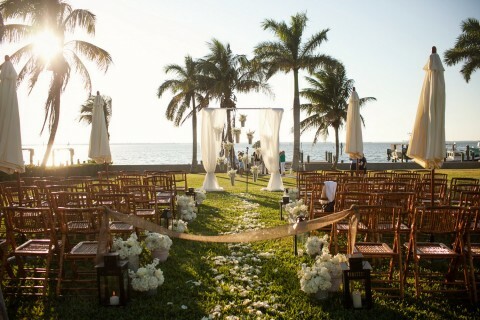 Imagine the sunlight shimmering off the water as you exchange vows. A gentle breeze sways through the palm trees while four star chefs prepare a meal you and your guests will never forget. Tarpon Lodge won’t be the focal point of your experience, just the perfect backdrop for it. Congratulations on your engagement and thank you for considering the Tarpon Lodge & Restaurant for your wedding ceremony and reception! You’ve found the person you want to spend the rest of your life with, now you just need to find the perfect venue to begin your marriage. Rather than compress all your wedding festivities into a four hour reception, relax for an entire weekend with your friends and family at our waterfront paradise. Join us off the beaten path where romance, privacy and serenity are found in abundance. Our 1926 Historic Lodge, Island House, Cottage and Boathouse offer 20 rooms and 2 cottages that can comfortably accommodate guests on-site, leading up to your wedding. 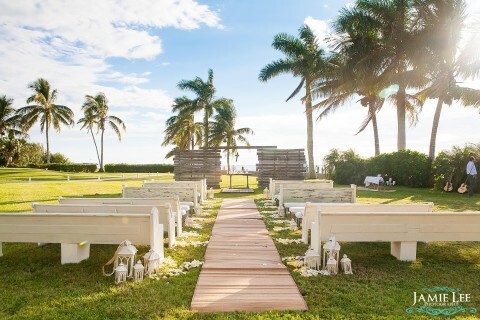 Dazzle everyone in attendance by using our romantic gazebo, dock, historic lodge and swaying palm trees to make your ceremony, outside cocktail hour and indoor reception an unforgettable experience. Your wedding ceremony will be the most significant part of your wedding day. 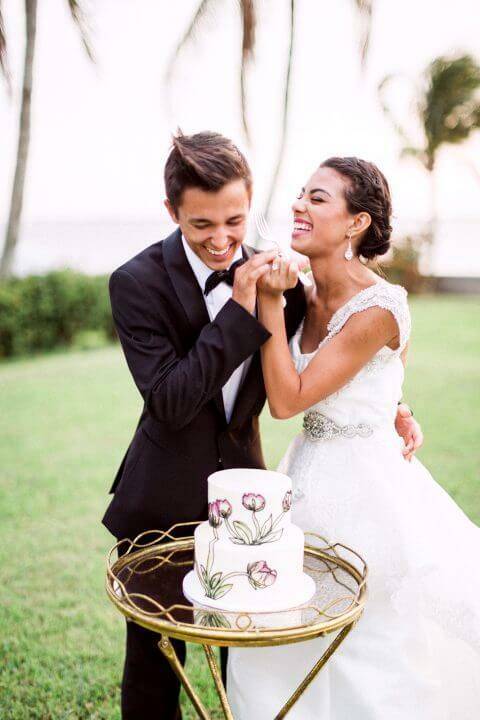 At Tarpon Lodge, we recognize a wedding is more than just a ceremony. 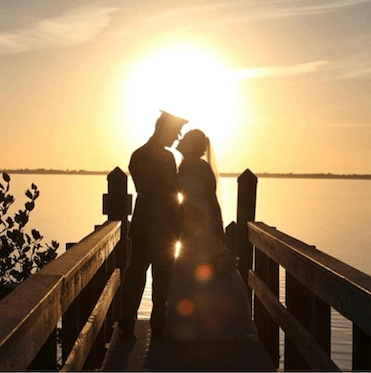 Imagine the sunlight shimmering off the water as you exchange your vows. A gentle breeze sways through the palm trees while four star chefs prepare the meal you and your guests will never forget. Tarpon Lodge won’t be the focal point of your experience, just the perfect backdrop for it. Review our Wedding Menus or customize your own. Florists, officiants, DJ’s, local attractions, fishing guides — we’d be happy to make recommendations for all of these and more! Our lodge office staff is also happy to help you allocate the rooms on the property for certain wedding guests, or the rooms held in your names can be booked on a first come, first serve basis. 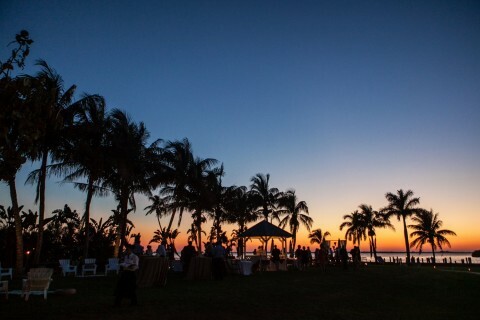 Consider a rehearsal dinner or honeymoon stay at Tarpon Lodge or at our sister property, the legendary Cabbage Key. Both locations are remote and have an “Old Florida” feeling, promising a secluded environment for romance. 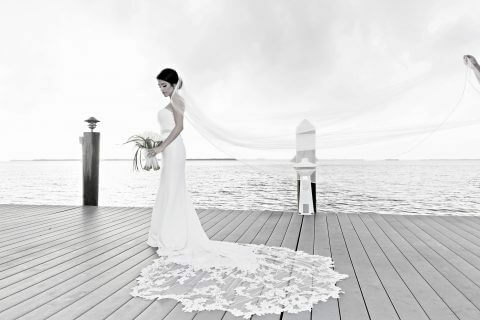 Tarpon Lodge invites you to explore our one-of-a-kind wedding location. 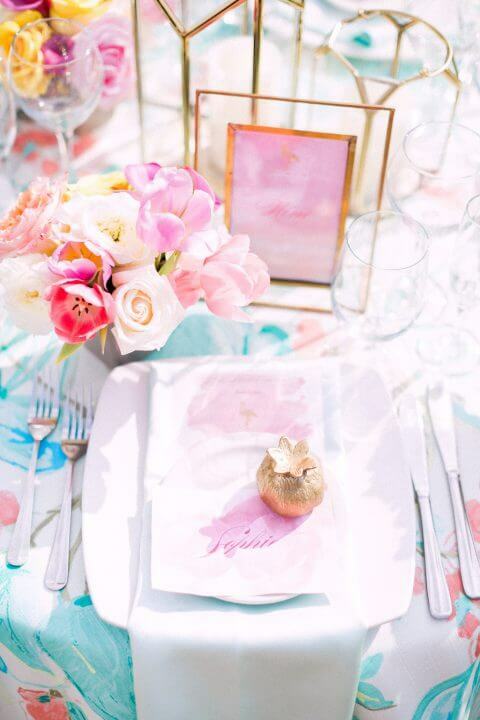 Review our Wedding Menus & Grounds Fee Requirements (PDF) and Frequently Asked Questions. Please email us to see if your wedding date is available, for more information or to set up a site visit. Minimum room requirements are in place for those weddings when we must close the restaurant to the public. Beyond customized menus for weddings, our restaurant can customize a menu for other events, such as family reunions or business retreats and meetings. Please email us with some details for your special event, or fill out the form below, and a member of our wedding events staff will be in touch with you soon! My daughter choose Tarpon Lodge for an April 7th wedding. During the months leading up to the wedding Shoreheh, the manager was always decisive and thorough. This helped to instill confidence. The staff is very well trained to meet your needs and to prevent anything from going wrong. I was impressed to discover that a security guard was on duty the evening of the wedding. While everyone was inside having fun he was roaming the grounds to make sure our rooms and cars were safe. Just left yesterday from a 4-day celebration for my nieces wedding. The place is just charming. Love the old Florida style. The service was outstanding and the food was delicious.. we had the entire lodge booked and everyone really enjoyed themselves. The wedding was just beautiful! They went above and beyond my expectations and everything was just perfect. 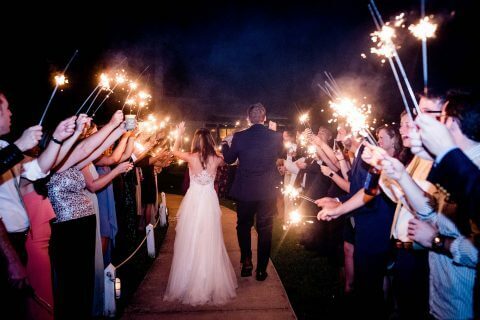 My wife and I were married at the lodge April 2017. The location is the traditional Old Florida look and feel with first class staff on hand. Our family and friends had an amazing experience and we look forward to our return. Spectacular view for the wedding and then a fabulous dinner reception inside. The staff was very attentive and the food was delicious! Very quaint, old Florida decor. Lovely, quiet location. We were able to watch the sunset. Rooms were available but we did not see them. Would love to go back again. We were there for a wedding and enjoyed ourselves immensely. The staff was very friendly and accommodating. The rooms were very clean and comfortable. Unbelievably my husband and I commented on how comfortable the bed was. We had lunch and the food and service were exceptional. And the wedding venue, dinner and reception were exceptional as well. The lodge really went above and beyond to make every guest feel welcome. My husband and I were at the Tarpon Lodge this past weekend for our friends’ wedding. Everything was spectacular. It is a smaller lodge and quite isolated and private. I believe there are only 27 rooms. It was a really neat experience to have the entire lodge to ourselves basically since every room was occupied by guests of the wedding. The lodge is adorable from the moment we walked in and the staff was extremely friendly and eager to show us around. Our room was in the Island House. We were in Room 4, which is a waterfront room. The room was clean and beautifully decorated. The views were spectacular. The food at the wedding was delicious, especially the mahi. It was so yummy. The maid of honor had the Sanibel Room and this is the room the bride took her “getting ready pics” in. The room was beautiful and had the best view of the rooms we went in. If we have the opportunity to make it back to the Tarpon Lodge one day, we would request the Sanibel Room. We had a wonderful time at Tarpon Lodge and were sad to leave. Spent a weekend attending a destination wedding there recently. From after lunch on Saturday to lunch on Sunday the lodge was opened for just the wedding guests staying at the lodge. The entire lodge was booked just for the wedding. It felt like a private retreat for just family and friends. We can not say enough about the comfortable rooms (ours with a view), the food, the professional staff and all the attention to detail for the wedding. It was a special occasion made just that much more special by everyone connected to Tarpon Lodge. Highly recommend for a low key romantic weekend getaway. Room Tip: Rooms on water side of the Island House with a balcony are great for viewing water and sunset. 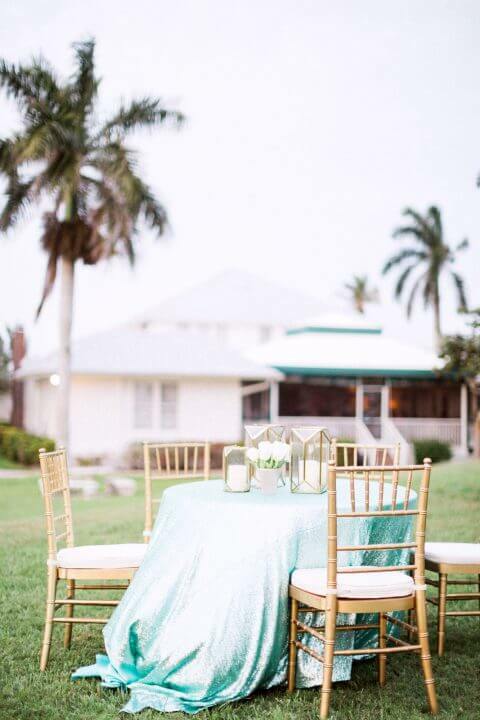 Tarpon Lodge was the perfect setting for the ‘destination’ wedding we recently attended. Updated, yet still Old Florida..no chain motel/artificial feeling, as we watched the water lap against the docks, glistening in the sun. The beds were great, the food was excellent, the wedding on the dock – intimate. Free to roam, we felt like the place was ours. There is no beach, but there is plenty of relaxing water and an archeological nature walk across the road. A wonderful venue for a wedding – no outsiders, so the group got to know each other casually by just roaming on the property. An evening boat ride was chartered to take the entire group to the Cabbage Key Inn and Restaurant for the rehearsal dinner – a fabulous addition to the wedding weekend. On the return trip, the night sky was filled with a spectacular stellar show, another bonus. We would definitely return to Tarpon Lodge and Cabbage Key and spend more time exploring, walking, boating…daydreaming..